I always find it riveting to discover other people's favourite books and their reasons behind it. Reading is such a personal past time, and everyone has different tastes, views and opinions. Yesterdays Best Books of the Year: 2010 article in the Observer was therefore of particular interest. Containing a list of favourite books of key figures, the results were truly intriguing. 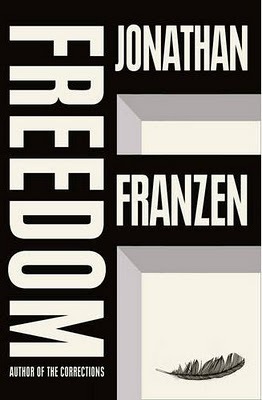 Sam Mendes listed Freedom by Jonathon Franzen as his top choice, whilst Sabastian Faulks surprisingly chose The Big Short, a book about the world of banking, by Michael Lewis. Even more surprisingly, Jeremy Hunt, the Culture Secretary, chose Tony Blair's autobiography. The poet Wendy Cope claims that the tone of voice in Hitch 22 is exceptional, whilst Nick Hornby enjoyed How to Live a Life of Montaigne. The list continues as creative, academics, scholars and comedians each choose their favourite book. The telegraph recently published an equally interesting article entitled Evolving English, a review of the British Libraries new exhibition. Apparently the English spoken in the Appalachian mountains of America preserves the language that Shakespeare would have spoken. There is a 1,000-year-old sole manuscript of Beowulf, still singed round the edges from being snatched from a fire in 1731. Furthermore, slang while being denigrated by those who feel above it, exercises a fascination on them because of a suspicion that slang-users are hiding something from them. George Bush's autobiography continues to attract speculation, firstly because where is he going to be 1.5 million people that wish to buy his book and line his already rather full pockets, and also because there is now suggestions of plagiarism. Finally, the Independent has published its list of 50 best winter reads, follow the link to see what you should be snuggling up with this winter.